Chrysler Electric Minivan Comes To Market! 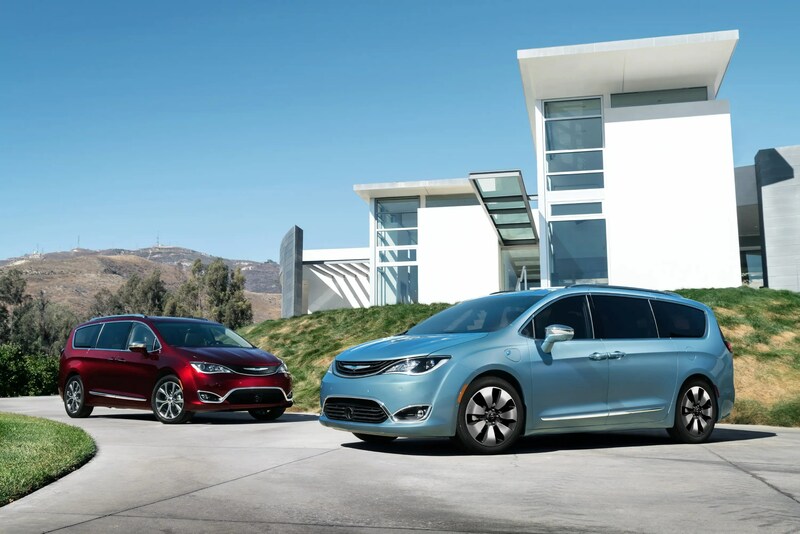 We had heard whispers and rumors of Chrysler bringing a plug-in hybrid minivan to the scene in late 2015, and the North American International Auto Show is about as close to late 2015 as it gets when it comes to the big auto shows. Better (a little) late than never… and Chrysler is on the scene with a new offering in this yet-to-be-tapped market for EVs. The Pacifica plug-in hybrid was announced in Detroit yesterday as having segment-leading mileage ratings at 80 MPGe. Kicking that number up a notch is a 16 kWh lithium-ion battery that enables 30 miles of all-electric range (AER). Impressively, the battery is housed in an existing storage compartment so the vehicle gets an MPG bump without sacrificing interior space. Staying in line with Chrysler’s deep roots in minivans, the Pacifica hybrid plug is just in front of the driver-side door, making plugging in about as convenient as it gets. Just as the Model X did for the SUV market, this new entry really hits a key segment that hadn’t seen any EV love in the US until now, which is all the more tragic considering how minivans typically suffer from poor fuel efficiency. While we struggle with the terrible rating system that is MPGe, the fact that the Pacifica gets 30 miles AER means most commutes or errands will be done on the battery without using any gas. 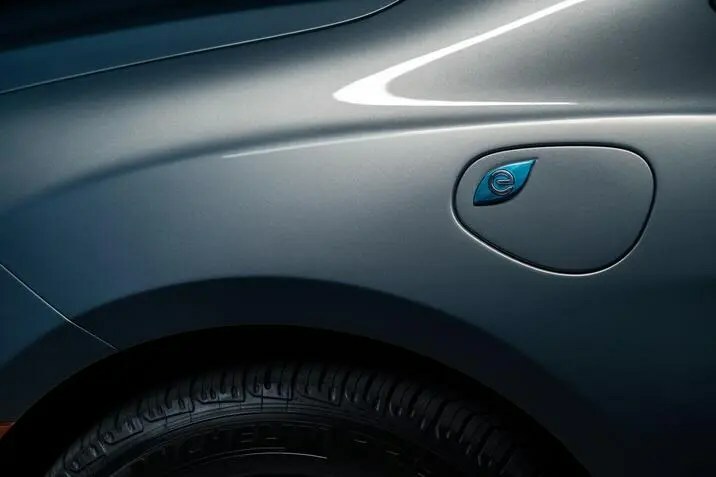 The fact that electricity is typically much cheaper to use as a fuel for driving means frugal families can take advantage of plugging in to save cash, which is one of those incentives to cut pollution that lasts the life of the vehicle. On top of that, as a plug-in hybrid (that Chrysler for some reason just calls a “hybrid”), this new Pacifica qualifies for the federal plug-in car rebate of $7500 and state rebates in some areas. ParkSense Parallel/Perpendicular Park Assist, which uses ultrasonic sensors to guide the driver into parking spaces. This sounds a lot like the Summon feature of the Model S, which is exciting to see. 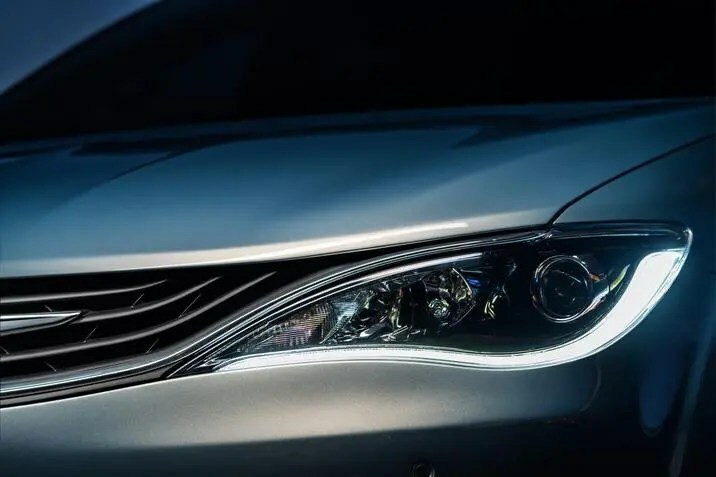 Adaptive Cruise Control, which maintains the distance between the vehicle and the one in front of it, and can bring the vehicle to a controlled stop if needed. Forward Collision Warning-Plus will actually engage the brakes to alert the driver if an impact appears imminent, and assists with driver response in the event of an accident. LaneSense Lane Departure Warning-Plus will deliver a torque input (haptic feedback) to alert and assist the driver that they might need to take action (starting with waking up!) to stay in the lane. I am truly excited to see tech and electrification coming to Chrysler and, beyond that, to a segment that just hasn’t seen much electric love to date. Yes, the Nissan eNV200 exists, but it is only deployed in a few smaller markets. Look for the Pacifica Hybrid to hit showrooms in the US later this year. Check out the highlights from the reveal at the NAIAS in the video below, check out some of the key engineering details in a second video further down, or dig into the full press release here for all the juicy tidbits. 2017 Chrysler Pacifica Engineering video with Jessica LaFond talking about some of the neat features in the hybrid version. Hilariously, the video shows the cars driving around on the backlot at Universal Studios.